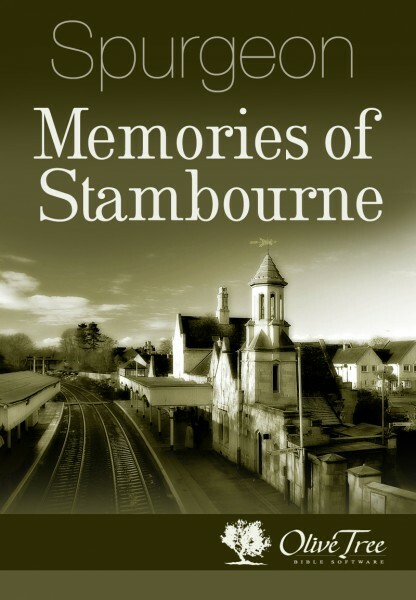 In the little book Memories of Stambourne, the last book he ever wrote, beloved pastor and preacher Charles Haddon Spurgeon recounts stories of his childhood and youth at Stambourne, an English village where his grandfather was a minister. It was here that he received his education and first read books such as Pilgrim's Progress that would prove formative in his spiritual life. Spurgeon recalls how he would spend many hours in a "little chamber" upstairs in the minister's "manse" (parsonage), reading the old books — "enormous folios, such as a boy could hardly lift." If you have enjoyed the sermons and devotional writings of C.H. Spurgeon, you will enjoy this autobiographical work that offers the context and background for his young life.